The online FREE Starter Class video is your first step to learning this successful approach to investing. The Starter Class walks you through how successful investors create wealth through intelligent equity investments, i.e., managing risk. This is a course in how to make money in the markets through conservative and knowledgeable investing. We have been successfully and consistently managing accounts for years and this course shares with you how we achieve consistent annual double digit return percentages of 30% to 50% with a specific approach and strategy. The Starter Class is a 30 minute on-line presentation of the OptionsWest story and how we arrived at the investing approach that has been so successful in achieving consistent double digit annual returns in our two example investment accounts, the BlueSky stock trading account and the EquiFund covered call account. This starter class is a introductory picture to the investing philosophy behind the these two successful trading accounts. These accounts both work to achieve a 30%-50% annual return. Both accounts have succeeded at reaching this goal on average consistently for many years. The EquiFund began in January of 2009 and has succeeded in meeting its return objective each year since. The BlueSky account has been successful every year since it’s start in 2012. Also included is an explanation of the tools we utilize to help save us time and make our trading precise and enjoyable. Running a successful investment account is a skill anyone can master, it is a craft that can be taught and we would love to help you get there. For those listening to the Starter Class video online, you may request that we ship you a hard copy of the welcome packet and the Starter Class Workbook. The cost is $25.00 and includes shipping in the U.S. and Canada. Just send us an email request. info@optionswest.com or gives us a call @ 949.690.9000. Also available is a free .PDF version of the Starter Class workbook. 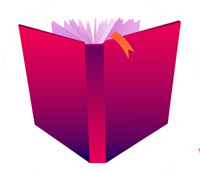 Simply click on the book graphic for a link to the .PDF file. Upon signup, you will receive a welcome email with a login and password to the member’s area of the OptionsWest website. Included in this email, will be information about our Trading Service, access to our Learning Center, and instructions directing you how to download some helpful software tools. 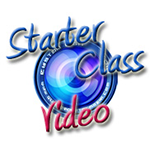 Getting the full picture is very helpful, so please be sure and take the time to watch the complete Starter Class video.